Hardware hacker by day, design deliriant by night; Rob Rehrig is an electrical engineer at IDEO with a passion for human-computer interaction, music, and rapid prototyping. 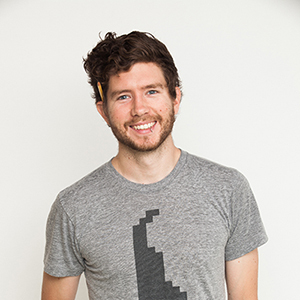 As a member of the IDEO Chicago crew, Rob uses his powers to build functional models of wild ideas that float through the studio using both hardware and code. Rob holds both a BEE and MS in electrical engineering from University of Delaware, as well as a MS in Music Engineering Technology from University of Miami (Florida). Rob is an avid runner, and his bicycle is his main mode of transportation year-round. In his spare time, he also enjoys creating gnarly rotoscopes and illustrations, playing video games, and exploring new projects that brew his head. "Repurposing Commodity Hardware for use as Assistive Technologies". RESNA 2010 Conference, Las Vegas, NV (2010).